There are plenty of Idaho dental plans to choose from, especially in the Boise area. Let’s take a look at your options. Dental insurance policies are designed to provide protection in the event of a tragic or unexpected event. This means that if you already have a mouthful of teeth that must be repaired, then a dental insurance plan will do you no good. You see, most types of insurance do not pay for any condition that was already there at the time that you bought the policy. For example, the average price of a new upper denture is $1,252.00 nationally. Do you really believe that you could go buy an insurance policy for $100.00 and get new dentures? Not likely. Dental insurance will pay for preventive care, such as cleanings, but that’s about the extent of your immediate coverage. Even then you’ll be responsible for paying your annual deductible and co-pay costs. Honestly, this is not a very good deal and it never has been. Unfortunately, until the mid 1990’s there wasn’t any other option. 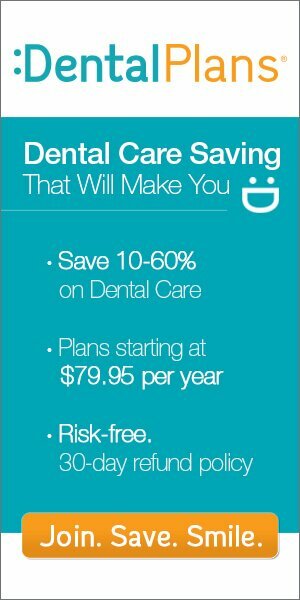 Discount plans are your second option for getting a dental plan in Idaho. These plans are not insurance policies. They simply offer you, the consumer an impressive discount when you join and visit a dentist or dental specialist within their network. This is how it works. #1. You find a participating dentist in your area. This is usually very easy because many of these plans have in excess of 100,000 participating dentists nationwide. #2. You simply pay a low annual fee to join the plan. #3. Make an appointment with your dentist. #4. Pay the dentist in full at the time of your visit. There’s no billing, deductible, paperwork or hassle. The dentist has agreed to take substantially less than their usual fee, in exchange for being paid cash in full at the time of your visit. You can save as much as 60% on certain procedures! Here’s an example of an Idaho discount dental plan in action. I’ll use the upper denture example from above. Once again, the usual cost (national average) is $1,252.00, however, there is a discount plan available in the Boise area called Uni-Care 200 Dental Plan that would get you your denture for only $600.00. The annual cost of being a member of this plan is only $109.95 for an individual or $159.95 for an entire family. That will immediately save you $542.05 if you are an individual. How, you ask? Simple. The usual cost is $1,252.00, minus the cost of your new denture, $600.00, leaves a savings of $652.00. Deduct $109.95 from that and you’ve just saved $542.05. If you live in the state of Idaho and are in need of an affordable dental plan that provides great savings, either for an individual or family, you should take a good look at discount dental plans as an affordable option. Simply enter your zip code into the light blue box at the top of the page Right Now and start saving today!